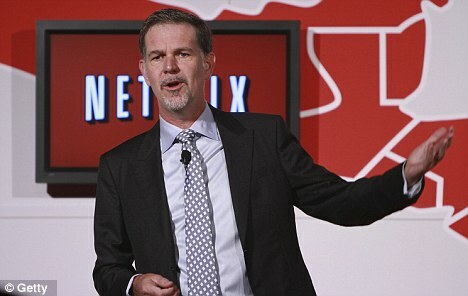 Netflix, the American media giant that streams blockbuster movies and TV series over the internet, is to launch on this side of the Atlantic. Netflix will offer tens of thousands of films in the UK - including exclusive early access to new films. The move comes after a series of hiccups for the company in the U.S., including price hikes and a disastrous attempt to split off its DVD rental business into a new company called Qwikster. Neftlix lost 800,000 U.S. subscribers in the last quarter. In the UK, it will offer video streamed to PCs, TVs and consoles, rather than DVD rentals. 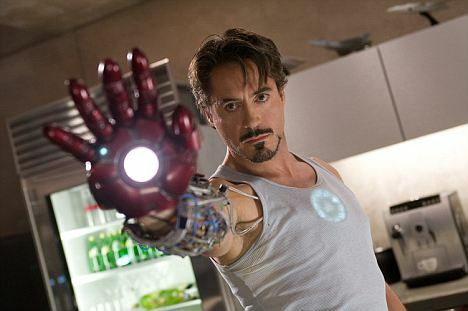 Robert Downey Junior in Iron Man. In the USA, the company¿s 'watch Instantly' service holds first-run rights to films from Paramount Pictures, MGM, Lions Gate Entertainment. Paramount titles include Iron Man, Star Trek and Captain America. Netflix has 25 million users worldwide. It is said to be the biggest single source of North American web traffic, accounting for 24.71 per cent of use. 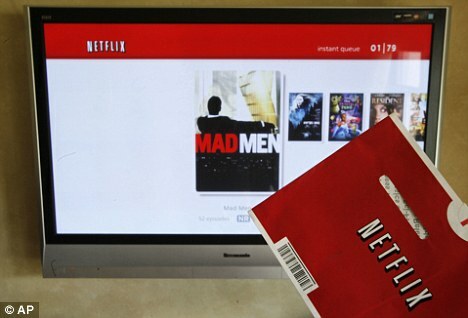 North American customers typically pay around $7.99-$9.99 a month to stream Netflix films to electronics such as connected TVs, PCs and games consoles. In the UK, though, it's up against serious competition in the form of it Lovefilm, a UK on-demand service owned by Amazon which is integrated into electronics such as connected TVs and Sony's PlayStation 3. Netflix is pulling out the stops to try and ensure it offers a unique service. It has signed a number of deals with leading film studios to have the first rights to offer blockbuster movies once they have finished their cinema run. The company said the price details will be announced closer to the date of the launch of the service, which will go live in Britain and Ireland early next year. Netflix was founded in California in 1997 initially as a DVD rental business where discs were posted to customers across the USA. It subsequently developed into the world’s largest supplier of web downloads of films and TV with 24.6million users in the US alone. The company has now embarked on a major international expansion. It began operating in Canada last year and recently added 43 countries in Latin America and the Caribbean. In the USA, the company’s ‘watch Instantly’ service holds first-run rights to films from Paramount Pictures, MGM, Lions Gate Entertainment. Paramount titles include Iron Man, Star Trek and Captain America. There are also deals with Sony Pictures, Walt Disney Motion Pictures Group, and Anchor Bay Entertainment, together with US TV shows offered by NBC Universal and 20th Century Fox. Netflix is locked into complex negotiations with these companies to have the right to show all its output in the UK and Ireland. In Britain, the business will face competition from LoveFilm, which is owned by Amazon and offers packages that combine DVD postal rentals with access to streaming. Lovefilm deals start at £5.99 a month, which includes three DVD rentals a month and two hours of streaming. A £19.95 a month package allows unlimited streaming of films.